Period is over for this course. Click here for the recent one. As a result of the financial crisis, there is an increasing need among scholars of economics and those working in the field to identify and understand what Islamic economics is and how it can contribute to the conventional system of finance and multiculturalism. This, of course, poses the questions ‘What is the difference between the concept of “Islamic economics and finance” and that of pure “economics and finance”?’ and ‘Is “Islamic economics and finance” capable of contributing to a secular society?’ The two compulsory units of this programme meet the requirements of those who wish to improve their understanding of key Islamic economics, finance and banking concepts and practices that may have a significant impact on their work. The programme is available on an intensive basis. The full programme is intended for students who wish to pursue a qualification in the field of Islamic economics, finance and banking. The programme will also promote students’ career development in both the private and public sectors through learning appropriate skills such as critical analysis of different concepts and approaches in specific subjects, networking and teambuilding, communication skills, problem-solving, negotiation and influencing skills and written and oral presentation skills. Get well versed in the main Islamic financing modes and contracts. Understand the main terminology of Islamic finance and economics. Recognise the main differences between Islamic and conventional finance. Please note that 8% VAT will be added to all fees. Applied Islamic Banking and Insurance will enable students to apply the core concepts of Islamic finance in an Islamic banking and insurance operation, to review and assess the commercial performance of Islamic financial institutions according to underlying Islamic principles, and critically compare the ideal concepts and practical implementation in Islamic and western banking and insurance. 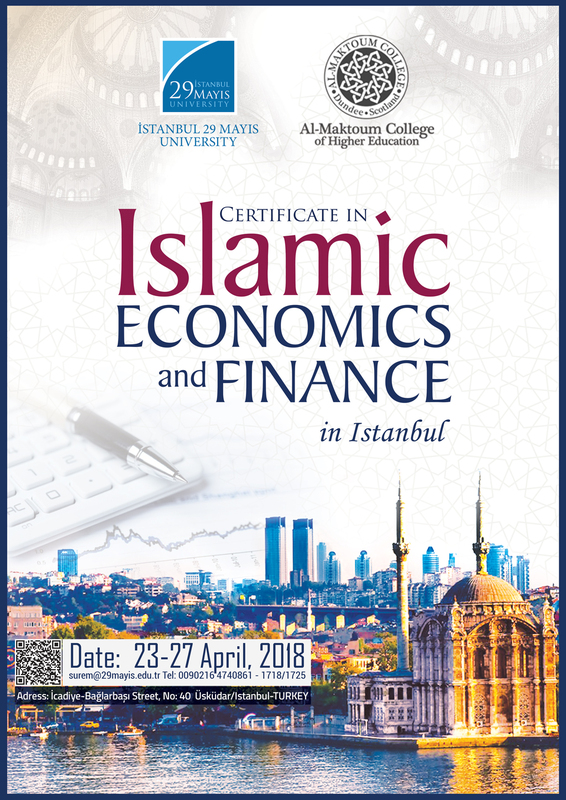 Islamic Economics and Finance will enable students to identify and understand the origin, concepts, and aims of Islamic moral economy at the micro and macro levels, including Islamic finance as a practical tool of Islamic economics systems. This unit will develop an understanding of the history and evolution of Islamic political economy and Islamic moral economy both from Islamic and neoclassical points of view. The unit will also address systematic understanding of Islamic political economy and its axioms which defines the frame, methodology and institutions. From a broader perspective, this unit will also enable students to understand Islamic financial engineering and liquidity management within the capital market context. The growing importance of the Islamic finance industry and the rapid global development of Islamic financial institutions, make it essential that anyone interested in the area of Islamic finance is conversant with the fundamentals, core concepts, and practical operation, control system and regulatory framework of Islamic banking and insurance. The unit will cover the differences between Islamic and western banking and insurance models in terms of conceptual framework, governing principles, governance system, business model, and product level differentiation. It will also cover all aspects associated with Islamic banking and insurance operation, including the embedding of Shari’ah compliance and regulatory frameworks in product development, asset liability management, internal control system, internal and Shari’ah audit as an independent assurance process. The unit will explore how Islamic principles have evolved into structures of products, services, control and governance system in Islamic banking and Takaful industry. The issues of Islamic banking and insurance products and services also will be critically analysed. To provide students with an advanced understanding of the theoretical aspects of the Islamic banking and insurance systems. To provide students with the understanding of the contemporary application of Islamic banking and insurance. To critically examine the institutional frameworks, governance systems and regulation of Islamic banking and insurance. To critically evaluate the main controversies and challenges facing Islamic banking and insurance. Critically understand the differences of the institutional framework, governing principles, governance system, business model, and products of Islamic and western banking and insurance. Critically understand the process of product development and asset liability management in Islamic banking and insurance. Critically understand the three levels of defence in Islamic banking and insurance operation, which includes the internal Shari’ah control system, implementation of a risk management framework, and the process of internal and Shari’ah audits. Understand how to apply and evaluate the integration of Shari’ah compliance principles and regulatory frameworks into all aspects of Islamic banking and Takaful operation. Critically evaluate the issues within the evolvement of product structures, services, control and governance system in Islamic banking and Takaful industry. Islamic insurance (Takaful) and reinsurance (Retakaful). Risk management in Islamic banking and insurance, and Asset liability management in Islamic banking and insurance. The unit will cover the origin, concepts, and aims of Islamic economics, including Islamic finance as practical tool of system of Islamic economics. This unit will also develop an understanding of the history and evolution of Islamic political economy and Islamic moral economy both from Islamic and neoclassical point of views. The unit will also address systematic understanding of Islamic political economy and the axioms of Islamic moral economy which defines the frame, methodology and institutions. It will also cover all aspects associated with Islamic Finance, including the definitions, classifications and nature. Moreover, this unit will discuss the emergent financial institutions. It will explore how Islamic Finance principles have evolved into structures of products and services. Issues of financial and non-financial products and services also will be considered. This unit is linked to the Applied Islamic Banking and Insurance unit, so that students conversant with all the principles and structures behind Islamic Banking and Insurance can be empowered to engage in its application. To understand the non-market institutions and their role in economic development and securing the welfare for the larger stakeholder. Critically understand the process of economic development in the light of al maqasid al Shari’ah and institutions for welfare.